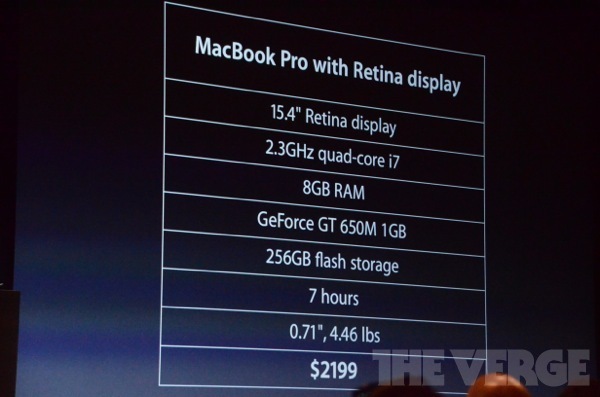 Update 1: The new MacBook Pro pricing starts at $2229 in Canada. Right after announcing the updated Macbook Pro and Macbook Air lineup at 2012 WWDC in San Francisco, Apple unveiled the all new Next Generation 15″ MacBook Pro, calling it “..the most beautfiul computer we have ever made.” The most amazing thing about it is of course, the gorgeous Retina display with 2880 x 1800 resolution and a mind blowing 220 ppi pixel density. 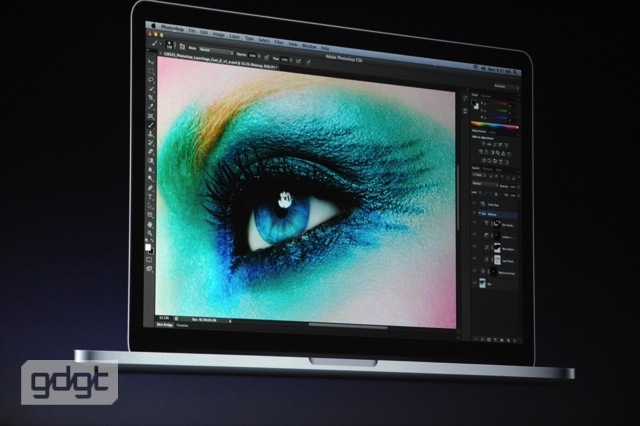 Apple claims that the pixels on Next Generation MacBook Pro’s display are so small that a retina cannot discern them. 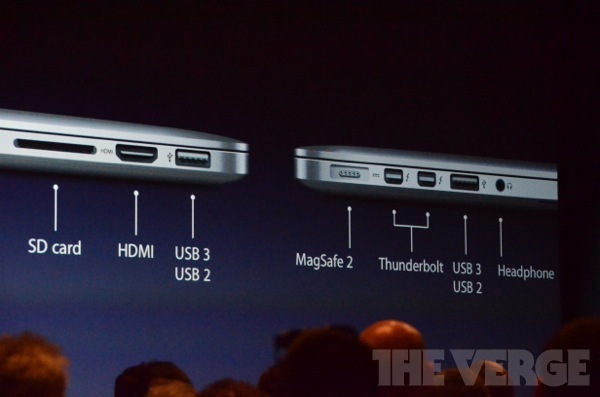 The optical drive has been removed, making it as thin as a MacBook Air. 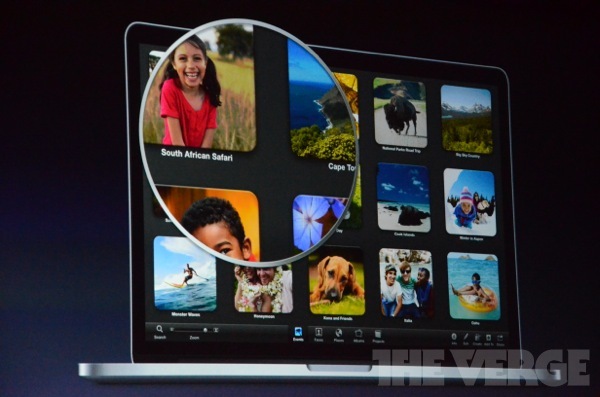 It weighs merely 4.46 pounds and is 0.71 inches thin. 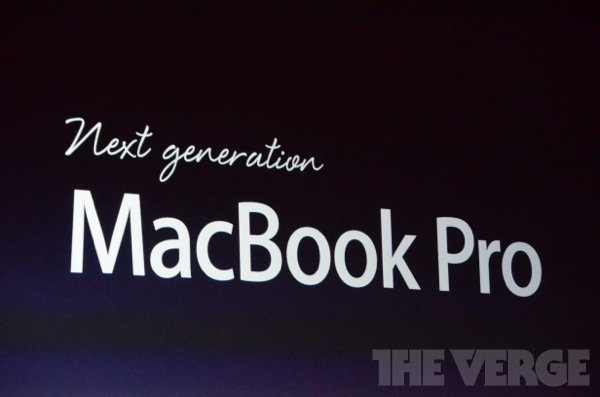 Apple has truly built the Next Generation Macbook Pro for extreme performance, while keeping it remarkably portable. The Next Gen MBP comes with a quad-core Intel i5 or i7 processor, supports up to 16GB of RAM and a Nvidia Kepler GeForce GT 650M GPU. Flash storage is available up to 768GB while ports include an SD card slot, 1 x HDMI port, 2 x USB 3 / USB 2 posts, a MagSafe 2 port, 2 x Thunderbolt ports and a headphone jack. 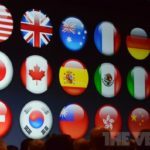 In addition to FaceTime HD camera, it also features dual microphones and uses beam-forming to enable a new generation of voice applications. According to Apple, “it has the best stereo speakers we’ve ever put into a notebook.” Connectivity includes 802.11n for Wi-Fi and Bluetooth 4.0. Other highlights include a backlit keyboard, multitouch trackpad, a 7 hours battery and a new thermal system which operates in a way that is nearly imperceptible to users. 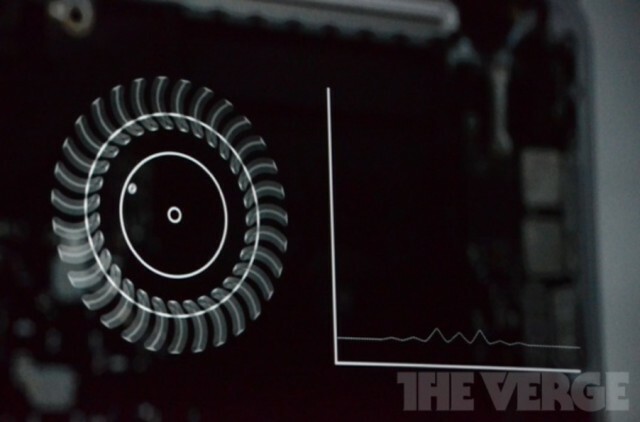 Apple says that “asymmetrical fan blades split the fan noise over more frequencies, so they are perceived as much quieter“.